Pauline Romero is a potter from Jemez Pueblo. She learned the basics of the Jemez traditional way of making pottery from her mother, Persingula R. Tosa. 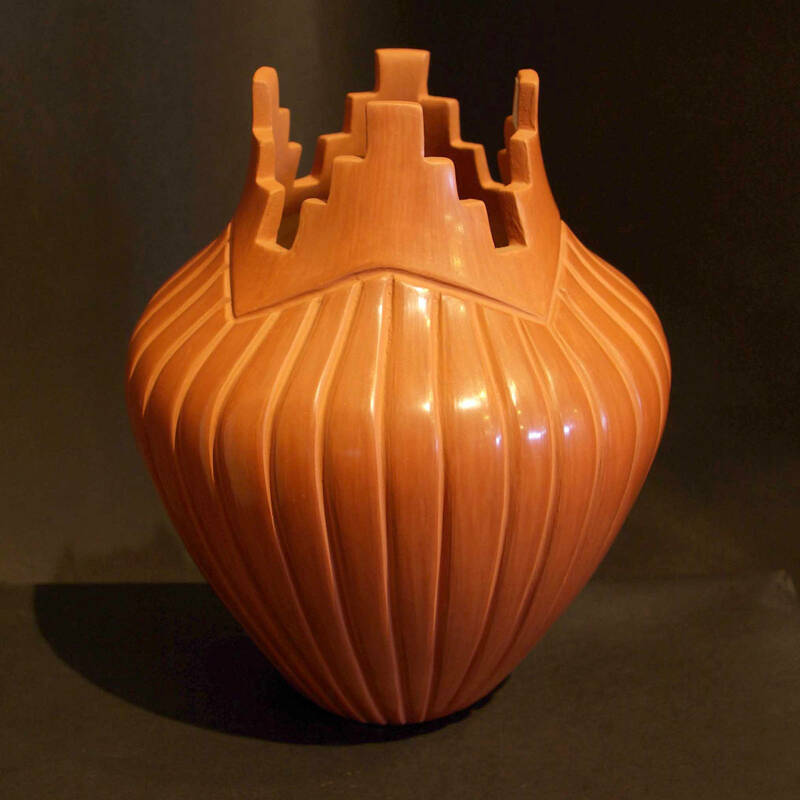 Early in her career as a potter, Pauline was making bowls and vases with the soft red Jemez slip, then using the sgraffito technique to scratch butterfly and feather designs into her surfaces. Then she moved into making melon shapes using red and buff slips. Today, she seems to specialize in highly polished redware pots, bowls and wedding vases with red and buff slips and sgraffito panels. Pauline signs her pottery: Pauline Romero, Jemez.